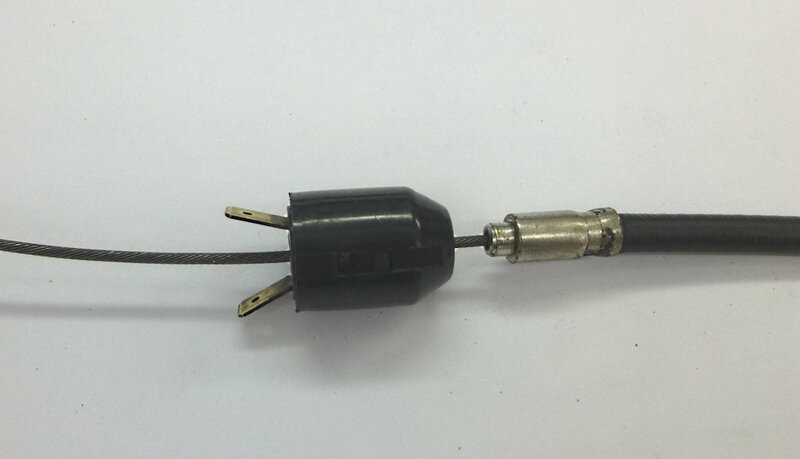 The front brake switch can be intermittent or not work at all. 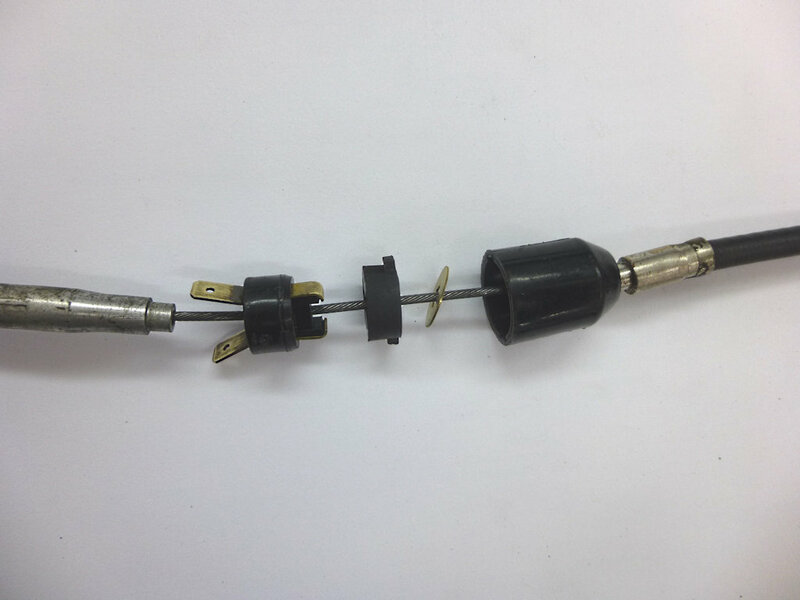 The switch can easily be disassembled by prying out the center piece from the cone shaped piece. There are a couple of notches near the terminals where a very small screwdriver can fit. Just work one side then the other. The problem starts when moisture gets trapped in the switch. 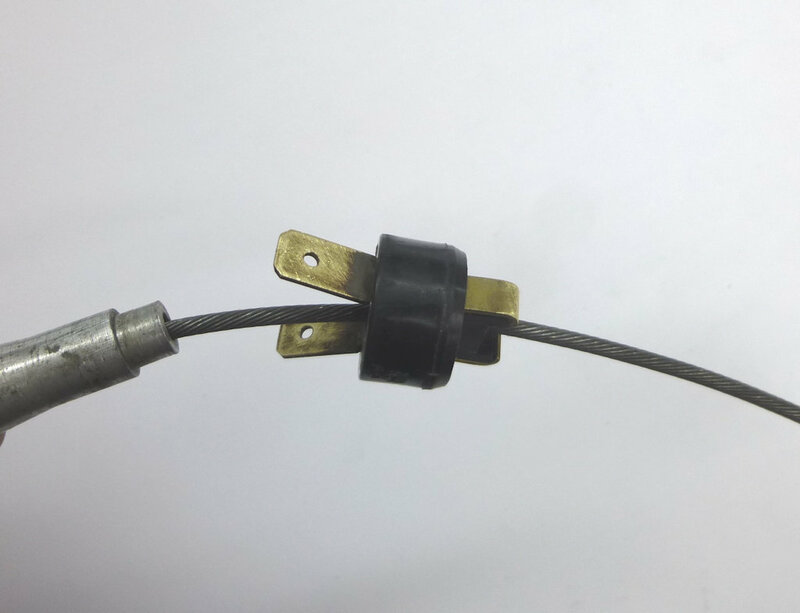 There is a molded rubber piece inside that offers resistance when the cable is pulled. Below that is a thin brass disc. It turns out the disc connects both contacts that complete the brake light circuit. At first it looked like the disc had two distinct contact areas but in fact the dark areas were oxidation. The disc can rotate so any area of the disc can make contact. That's what causes the erratic connectivity. 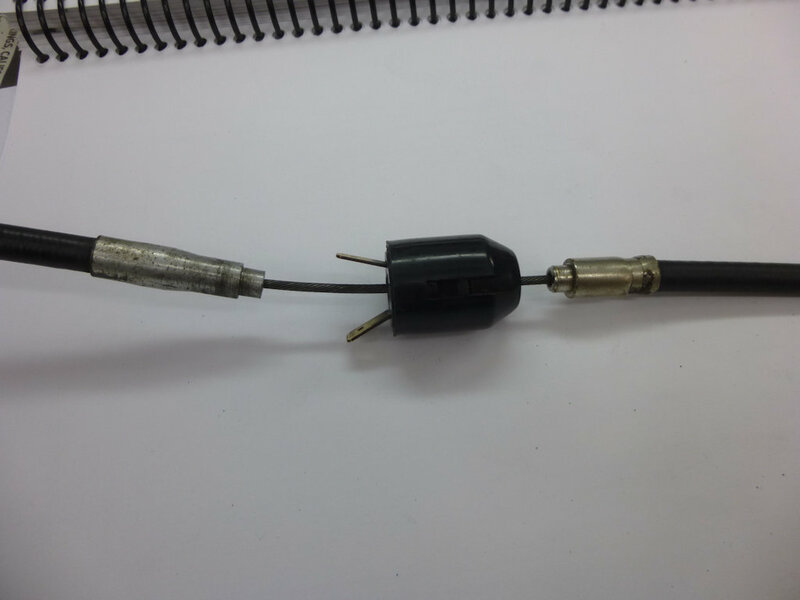 Either open circuit, resistive circuit, or full contact. With the switch parts separated remove the disc oxidation with Scotch-Brite so the contact side is completely free of oxidation. Handle the disc carefully during the cleaning process so the disc is not bent. Also brighten up the two contacts and their terminals. Clean up the inside with alcohol. I found that single malt scotch works well. 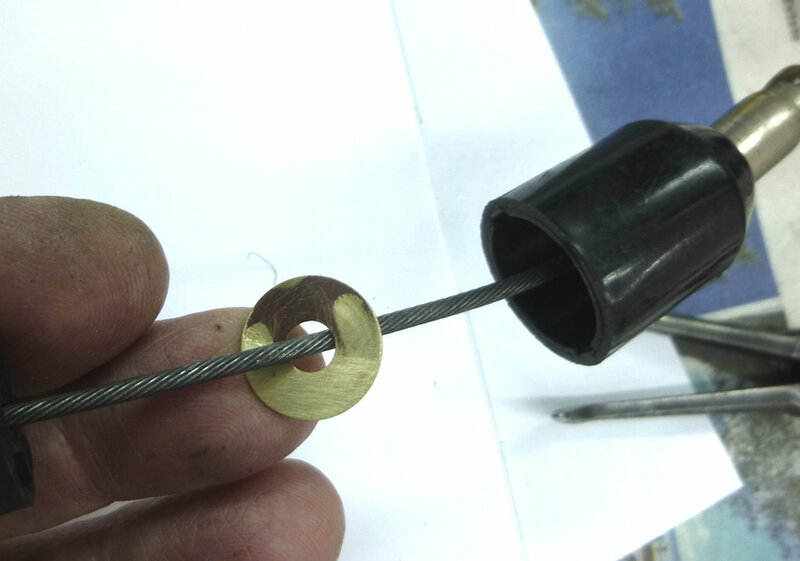 Let dry and assemble, aligning the contacts with the exposed areas of the disc then press together. 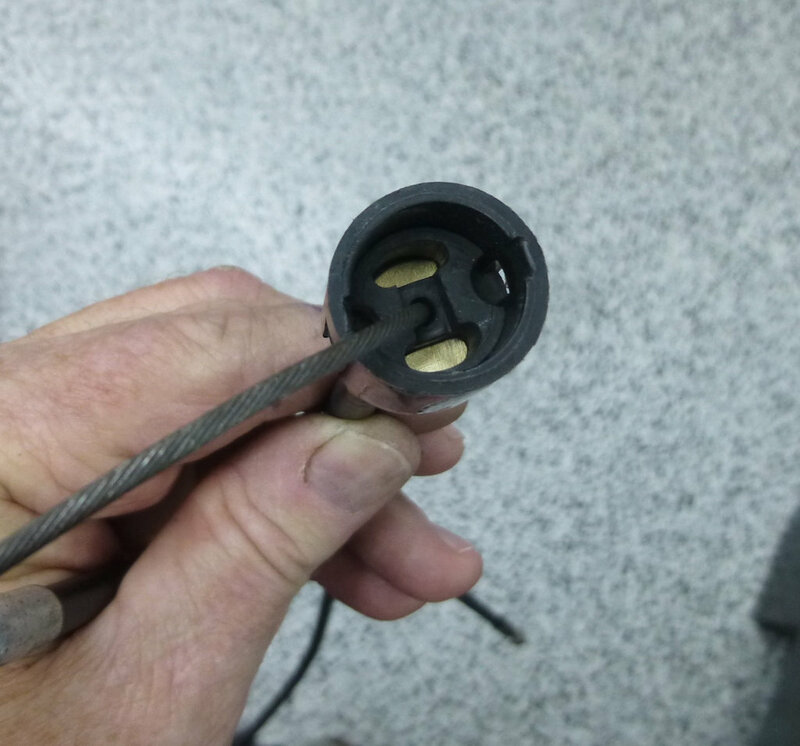 Ohm meter testing showed zero ohms resistance on each cable pull and because the electrical connection is very good no extra squeeze is needed to power the tail light.